Between 30 000 and 33 000 people are involved in treasure hunting in Bulgaria - an activity leading to irreparable damage of archaeological sites. 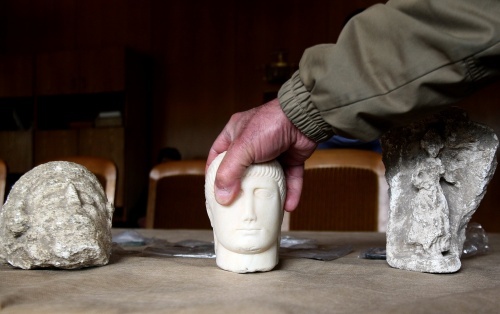 This figure has been announced by Volodya Velkov, head of the the Unit for Fighting Trafficking of Cultural Heritage Items, with the Bulgarian Interior Ministry. Velkov, who is in charge of a 40-strong team to combat treasure hunting, spoke in an interview for a documentary of Dateline, a current affairs production of the Australian SBS TV. Velkov has been placed in charge of his special unit in 2006; he said he relied a lot on the enforcing of the new Cultural Heritage Act that came into force in April 2009 in order to curb the illegal treasure hunting activities. The documentary on treasure hunting in Bulgaria was a project of Australian journalist David O'Shea, in which he was aided by the Editor-in-Chief of Novinite.com, Ivan Dikov.